At my age, there are a lot of things that health and strength no longer permit me to do. Sometimes when Franklin is visiting, I jokingly offer him this advice: “Don’t get old!” But there are still many things I can do, and one of them is pray. I’ve been praying fervently that we might have a fresh spiritual awakening in America. If ever there was a time this country needed the intervention of God, it is now. We can and should pray for America as a whole, but remember that when God sets out to change a nation, He begins by changing people. It starts with individuals. The more I pray, the more deeply I feel that My Hope America is the right outreach for this country today. I am already hearing reports about the people who have given their hearts to Christ this summer during the early phases of this outreach, and it thrills me. 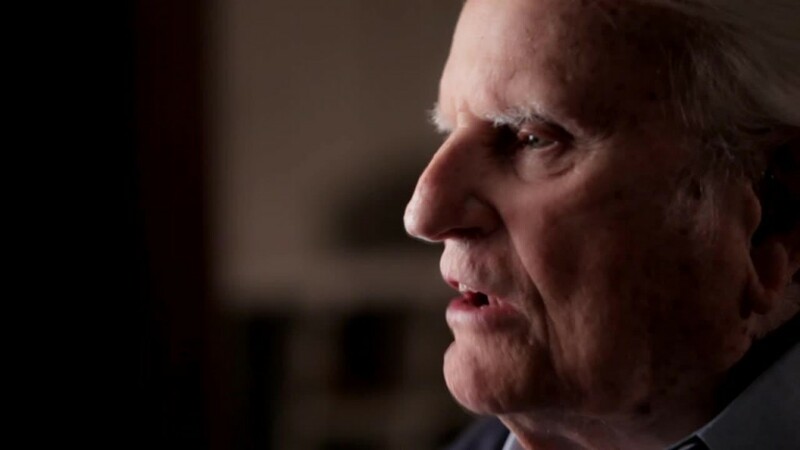 In November, the month I turn 95, we will have a new My Hope America video/TV special available across the country—several wonderful, real-life stories of people whose lives were transformed by Jesus Christ interwoven with a message from my heart about the healing power of the Gospel. I’m already at work on this. Along with all the encouraging visits from grandchildren and great-grandchildren this summer, I’ve had a video camera crew helping me tape, from my home, the things I feel strongly that God is leading me to say to America. Please pray that God will work in the completion of this program and that He will use it in a mighty way. You can invite people you know to watch the program with you in November. Ask God to touch their hearts as they watch. Thousands and thousands of believers in every part of the country are preparing to do that. Who do you know—loved ones, friends, co-workers—who need to understand and experience the life-changing power of the Gospel? Are you praying faithfully for them, right now, specific people you long to see transformed now and for eternity? God longs to see them transformed as well, and He invites you to partner with Him as He seeks to draw them to Himself. If you want to see someone’s heart healed and eternal future secured, you must be praying. A Christian may feel unsure, at times, of how best to do that. God understands. The Bible says that “we do not know how to pray as we should, but the Spirit Himself intercedes for us” (Romans 8:26, NASB). That means that when we intentionally and faithfully lift the names of our lost friends and loved ones to the throne room of Heaven, it is the Holy Spirit who is pleading, mourning, and praying through us. In this way we become actual partners with God—”workers together with Him” (2 Corinthians 6:1, NKJV)—and our efforts are raised from the low plane of doubt and hesitancy to the high plane of creativeness with God. As a co-laborer with God, you need not be anxious about how to make it all work. You cannot draw anyone to Christ, but God can. “For thus says the Lord God: ‘Indeed I Myself will search for My sheep and seek them out'” (Ezekiel 34:11). Ask Him to do that. Make sure your pastor knows about My Hope America—already more than 16,000 churches in all 50 states have signed up to participate. Meanwhile, I encourage you to sign up right now as an individual (see the enclosed insert). Plan to go through a My Hope America training session at a church in your area or take the easy online training at home (you’ll need about three hours total, spread out at your own pace). There is no fee or cost. This is a huge undertaking, but we strongly believe the outreach and all needed materials should remain free of charge to those who participate. We are trusting God for the financial resources, and we are asking Him to lay it on your heart to help with a generous and sacrificial gift for My Hope America. Most of all, we ask for your prayers and participation so that the hope of the Gospel can touch not only people across the nation, but people you personally know and care about. The Bible says, “Let him who thirsts come. Whoever desires, let him take the water of life freely” (Revelation 22:17). Join me in asking God to give people that thirst. P.S. People need real hope in their lives, and they also need real peace. But in a world filled with daily anxieties and sometimes epic problems, is peace even possible? My longtime friend Stuart Briscoe—who was born in England, served in the Royal Marines, and has been a well-known pastor for decades—explores that question in a wonderful book called A Peace of My Mind, a moving narrative that weaves together Scripture, history, and personal life stories. When you send a gift to BGEA this month, we’ll send the book as our thank-you.